Hello Monday! This week at Kaboodle Doodle's challenge is Anything but a Square. Here's my tag for this week, Do join us at Kaboodle Doodle as you might be the lucky winner of 5 digis from Digi Darla. So, come and hop in the challenge! Beautiful tag! 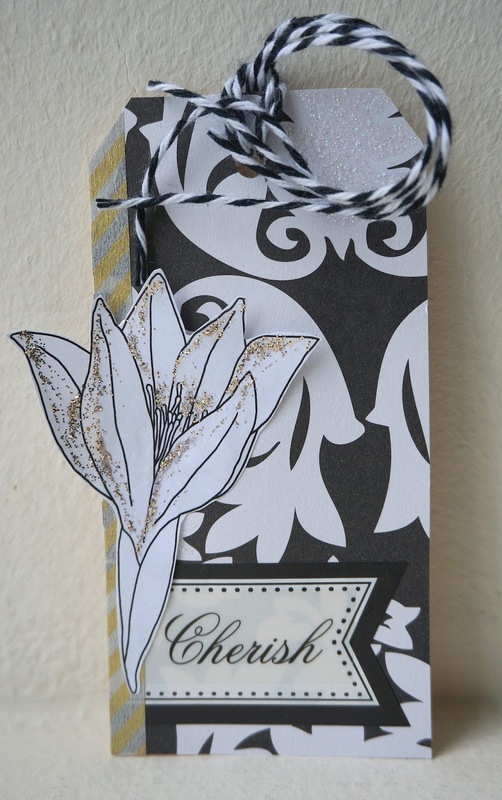 Love the black/white combo and the touches of glitter are perfect!